While former state Assembly Speaker Sheldon Silver's corruption trial continues this week, former Senate Majority Leader Dean Skelos' gets started. Albany ethics and pay-to-play culture will continue to loom over and be laced throughout the day-to-day news out of the two trials. Just last week, leading good government groups seized on the timing of the two trials and news that New York received a "D-" on a national scorecard of states' efforts to create government transparency and prevent corruption to call for sweeping ethics reforms in Albany. Meanwhile, people in New York City and elsewhere are on high alert and in mourning after the attacks that occurred in Paris on Friday. Mayor de Blasio, Governor Cuomo, and other elected officials responded over the weekend with shows of solidarity and by taking measures to enhance law enforcement presence. In the morning, he delivers remarks at the Ford Foundation's ConnectHome Broadband Initiative Roundtable. At 2 p.m. on Randall's Island, the mayor and Police Commissioner Bill Bratton will host a press conference to announce the first deployment of the NYPD's new Critical Response Command of the Counter-Terrorism Bureau. Later, the Mayor will deliver remarks at the 20th Annual Met Museum Real Estate Council Benefit Dinner. We're watching this week for any news about a NY/NY IV deal between the city and the state. NY/NY deals have created thousands of units of supportive housing, a homelessness prevention and reduction tool that provides housing and support services for people battling substance abuse, mental illness, and other problems. A City Council hearing had been scheduled for Monday in order to check the status of those negotiations and to pass a resolution calling on the city and state to come to a new agreement to provide new supportive housing units. But, the hearing was canceled on Friday - not long after Gotham Gazette had published a preview, which is still relevant and can be read here. We're also looking for the launch of First Lady Chirlane McCray's "mental health roadmap." The roadmap, which has been delayed and the administration prefaced by releasing last week new data on mental illness and mental health challenges faced by New Yorkers. McCray is set to make one related announcement on Tuesday. Read our extensive preview of the mental health roadmap here. At the New York State Legislature on Monday: at 10:30 a.m. at 250 Broadway, the Assembly Standing Committee on Tourism, Parks, Arts and Sports Development will meet for oversight on the 2015-2016 budget. On Monday, at 8:30 a.m.: “K2 in NYC: Promoting Public Health and Safety,” a summit co-hosted by the New York City Department of Consumer Affairs, the NYPD, and Department of Health and Mental Hygiene, to discuss the best ways to address the K2 synthetic drug crisis in New York City. Participants will include City Council Speaker Melissa Mark-Viverito; Council Member Vanessa Gibson; DCA Commissioner Julie Menin; DOHMH Commissioner Dr. Mary Bassett; State Senator Jeff Klein; Brooklyn Borough President Eric Adams; and individuals who have used and been impacted by K2. 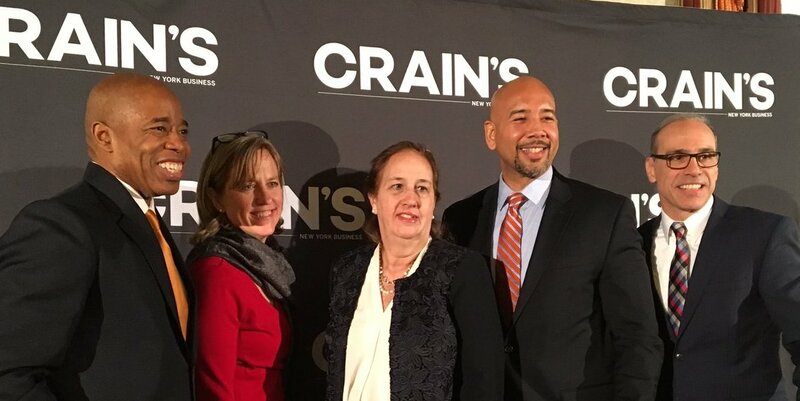 On Monday, schools Chancellor Carmen Fariña will deliver morning remarks at the Hispanic Federation's Annual Hispanic Education Summit; 9:30 a.m. at the CUNY Grad Center. In the evening, Fariña will deliver remarks at an event celebrating LiteracyINC's parent volunteers; 6:15 p.m. in Manhattan. At 10 a.m. Monday, Comptroller Scott Stringer will deliver remarks at the Congressional Black Caucus Foundation's Executive Economic Summit, in Manhattan. At 10 a.m. at her office, Public Advocate Letitia James will host a meeting of the Public Advocate's LGBTQ Task Force. At 11 a.m. The Internet Association, consisting of a large number of internet based companies, will launch the “New Yorkers for Ride Sharing” coalition in an attempt to motivate legislators to bring back app-based ridesharing services - like Uber and Lyft - in upstate New York. At 5:30 p.m. the Queens Borough Board, led by Queens Borough President Melinda Katz, will vote on the “Zoning for Quality and Affordability” and “Mandatory Inclusionary Housing” proposals by the de Blasio administration. At 6 p.m. as well, the New York League of Conservation Voters will host an event to honor the Food Bank of New York City and celebrate the momentum gained by greener buildings, renewable energy, well-funded neighborhood parks, and cleaner waterways initiatives. City Council Speaker Melissa Mark-Viverito is expected to make remarks at the event. Another event at 6 p.m., at Baruch College, “The Counterattack: The Media, The War on Women and How to Fight Back” is hosted by state Senator Liz Krueger and will focus on anti-women statements and positions taken by presidential candidates and other prominent politicians. The event is co-sponsored by a wide variety of women’s rights groups and city-based elected officials at all levels. At 6:30 p.m. the Civilian Complaint Board will hold a public meeting at the City College of New York. At the City Council on Tuesday: 9:30 a.m. the Subcommittee on Zoning and Franchises will meet to discuss a land use application and at 10 a.m. the Committee on Juvenile Justice will meet for a tour of the Crossroads Juvenile Center. At 8:30 a.m. Tuesday, a public forum “Paid Family Leave for the Health of Working Families” will host several speakers including state Senator Joseph Addabbo and a slew of medical professionals, scholars, and insurers supporting Addabbo’s push for paid family leave in New York. The event is sponsored by the Community Service Society, Scholars Strategy Network-NYC Chapter, The Murphy Institute at CUNY, and the New York Paid Family Leave Insurance Campaign. At 9 a.m. the New York City Food Policy Center at Hunter College will continue with its Food Policy for Breakfast Seminar Series with “Zoning and the City’s Food System: Opportunities to Shape Healthier Food Environments in NYC.” The panelists will be Daniel Hernandez, Deputy Commissioner for Neighborhood Strategies of the Department of Housing Preservation and Development; Shai Lauros, Director of Community Development for Cypress Hills Local Development Corporation; Javier Lopez, Deputy Director of the Center for Health Equity, Department of Health and Mental Hygiene. At 9:30 a.m. Queens Borough President Melinda Katz will hold a Queens Borough Cabinet meeting. On Tuesday at 10 a.m. at his Harlem office, Manhattan District Attorney Cy Vance, along with various elected officials, NYPD representatives, Hon. Tamiko A. Amaker, and Irwin Shaw, Attorney-in-Charge of the Legal Aid Society's Manhattan Office, will announce the "Clean Slate" warrant forgiveness program, which is scheduled for Saturday. At 11 a.m. Tuesday, there will be a press conference on preventing wage theft, at Tweed Courthouse, at which Comptroller Scott Stringer will speak. Cornell Tech will offer its first official tour of the Roosevelt Island campus construction on Tuesday. “Development of the first phase of the campus is currently underway and due to open in 2017. Cornell Tech is opening the construction site to press to see the visible transformation of the site,” at 11 a.m. Tuesday. At 11:30 a.m. Tuesday, "First Lady Chirlane McCray will lead an announcement about a new initiative related to mothers and mental health in the upcoming mental health roadmap, ThriveNYC." At 2 p.m. state Assembly Democrats will meet in Albany for an off-session meeting, according to Politico New York. This is happening right after Senate Republicans met on November 10. At 5:30 p.m. Tuesday, the Contracts Committee of the Panel for Educational Policy will meet. The full PEP meets Wednesday evening. On Tuesday evening, state Senator Adriano Espaillat hosts an Inwood housing forum at Washington Heights Academy; MBP Gale Brewer will be among the other elected officials to speak. At 6:30 p.m. Senator Daniel Squadron will host an MTA Bus Town Hall, looking at issues raised by constituents at his Community Convention. Representatives from the MTA will hear suggestions on how to improve services. The event is co-sponsored by a variety of other elected officials from Manhattan, local community boards, and Riders Alliance. At 7 p.m. Tuesday, Brooklyn Borough President Eric Adams will host a public forum on Verizon FiOS in Brooklyn, allowing residents and businesses to comment on the service. At the New York State Legislature on Wednesday: a 10 a.m. hearing on “Examining Issues Relating to Poverty among our Senior Citizens” by several committees, and, at 10:30 a.m., a hearing of the Assembly Standing Committee on elections to discuss “enhancing voter accessibility.” Both hearings are in Albany. 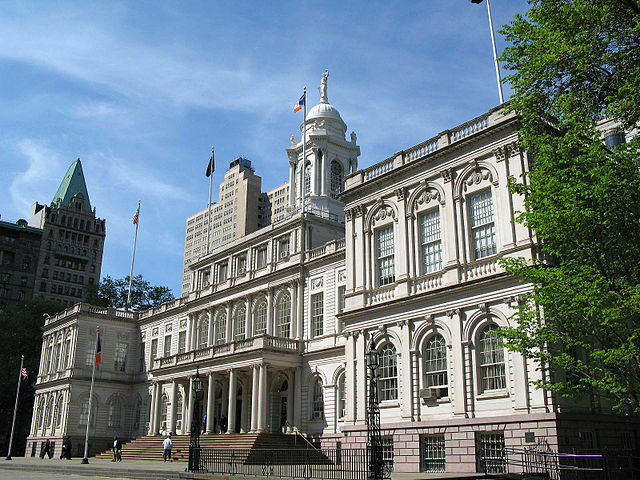 At the City Council on Wednesday: at 10 a.m. the Committee on Rules, Privileges, and Elections will meet to listen to the Mayor’s Message as delivered by Janet Alvarez of the New York City Tax Commission; and at 1 p.m. the Subcommittee on Planning, Dispositions and Concessions will convene to discuss a number of land use applications. On Wednesday, Manhattan District Attorney Cy Vance will host the 6th annual Financial Crimes and CyberSecurity Symposium, at the Federal Reserve Bank of New York. Along with Vance, the conference will be headlined by FBI Director James Comey; Federal Reserve Bank of N.Y. General Counsel and Executive V.P. Thomas Baxter; and City of London Police Commissioner Adrian Leppard. At 11 a.m. Wednesday at City Hall, The rally will be led by "New York City Coalition for Adult Literacy (NYCCAL), a citywide coalition of leading community based organizations, CUNY programs, libraries and union training programs. In addition to affected students, teachers and other allies, City Council Immigration Chair Carlos Menchaca will speak out in support of adult literacy programs...Nearly 100 adult learners, educators and their supporters will rally...to call attention to an action taken by the City in the most recent budget they believe has been swept under the rug: the elimination of adult literacy classes for over 6,000 individuals. The coalition will call on the Mayor and City Council to restore the classes and expand the City's limited adult literacy infrastructure." On Wednesday at 2 p.m., the Center for New York City Affairs at The New School will hold “Rikers Island: Reform it - or Shut It Down?” The event will feature an extensive panel of experts and stakeholders moderated by Errol Louis of NY1. Speakers will include, among others, Elizabeth Glazer, director, Mayor's Office of Criminal Justice; Martin Horn, executive director, NYS Sentencing Commission; Glenn E. Martin, founder and president, JustLeadershipUSA; Carmen Perez, executive director, The Gathering for Justice and co-founder of Justice League NYC; Jeff Smith, assistant professor of politics and advocacy, Milano School; and Scott Stringer, city comptroller. At 6 p.m. state Senator Andrea Stewart-Cousins will give keynote remarks at “Who Represents Us? The Status of Black Women in Elected Office,” hosted by The Brennan Center for Justice. At 6:30 p.m. Wednesday, City & State NY will hold its Staten Island Special Issue Launch Reception at the Staten Island Museum. The event will feature Staten Island Borough President James Oddo. At the New York State Legislature on Thursday: at 11 a.m. the Assembly Standing Committee on Education and the Assembly Subcommittee on Students with Special Needs will hold a hearing in White Plains to discuss New York schools for deaf and blind students. At 10 a.m. the Committee on Civil Service and Labor will meet for oversight on private sector workers and problems with worker rights, organizing and unionization. At 1 p.m. the Committee on Governmental Operation and the Committee on Finance will meet to discuss a number of bills related to the Environmental Control Board. The bills seek to clarify and reform procedures that occur among city agencies, businesses, and the Environmental Control Board (ECB) in the event of an ECB violation. At 1 p.m. the Committee on Higher Education will meet for oversight of student unions and non-academic spaces in CUNY universities, discussing whether they are a luxury or a necessity. At 8:30 a.m. Thursday, MBP Gale Brewer hosts a Borough Board meeting. On Thursday at noon, the Manhattan Institute’s “The Beat MI” program will host a discussion, “NYC Quality Of Life Issues: Are We Thriving Or Just Surviving?” featuring NYPD Commissioner Bill Bratton; Phil Walzak, senior advisor to Mayor Bill de Blasio, and Manhattan Institute Senior Fellows Jason L. Riley and Fred Siegel. 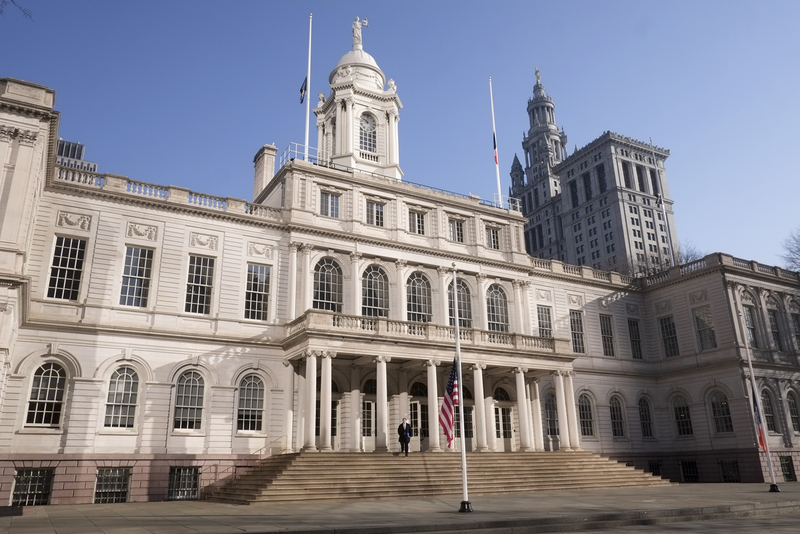 At 5:30 p.m. Mayor de Blasio, Council Speaker Melissa Mark-Viverito, and Council Members Maria Del Carmen Arroyo, Fernando Cabrera, Rosie Mendez, I. Daneek Miller, Annabel Palma, and Richie Torres will host a Puerto Rican Heritage celebration at the Council Chambers in City Hall. At 6 p.m. Thursday the Panel for Educational Policy will meet in Manhattan. At 7 p.m. Thursday, “The NYC Young Republican Monthly Meetup,” with guest speakers TBA as of Sunday. The Daily News is reporting that Gov. Andrew Cuomo will introduce Democratic presidential candidate Hillary Clinton Thursday evening "when she receives a "leadership" award named after his father, former Gov. Mario Cuomo, at a Brady Campaign To Prevent Gun Violence dinner at Cipriani on Broadway." On Friday at 10 a.m. at Civic Hall, the state Board of Elections and the New York City Campaign Finance Board will host a session to preview new state campaign finance data reporting and to discuss how campaign finance data can be made more useful for the general public. On Friday evening at the LGBT Center in Manhattan, "Advocates, allies, and researchers will gather to release and discuss "Transgender Health and Economic Insecurity: A report from the 2015 NYS LGBT Health and Human Services Needs Assessment." The event is being co-sponsored by the Empire State Pride Agenda, The LGBT Community Center, and Strength in Numbers Consulting Group, with research funding provided by the AIDS Institute of the NYS Department of Health." On Saturday beginning at 9 a.m., Manhattan District Attorney Cy Vance will offer New York citizens with outstanding summons warrants a chance for a “Clean Slate” by resolving their minor offenses on site, without the threat of arrest. On Saturday at 10 a.m., the first of many LGBTQ Youth Summits in New York City will be taking place in Brooklyn. The Hetrick-Martin Institute in collaboration with New York City Council Speaker Melissa Mark Viverito, Council Member Carlos Menchaca, the New York City Council LGBTQ Caucus, and community partners will conduct an LGBTQ Youth Summit in each of New York City’s five boroughs in order to empower LGBTQ youth in NYC.